Jefferson Park is located at the corner of North 21st Street and East Marshall Street in the City of Richmond, Virginia. It has arguably the best view of Richmond’s City Skyline. The Friends of Jefferson Park (FOJP) is made up of citizen volunteers whose goal is to enhance the park, through citizen involvement. The Friends group holds regular clean-ups, plants trees and encourages responsible use of the park. The FOJP has a strong alliance with the Union Hill Civic Association and often collaborates on projects. The organization also maintains a close relationship with the City of Richmond Department of Parks, Recreation and Community Facilities in their administration of the park. Friends of Jefferson Park is a Partner of the Enrichmond Foundation, a 501(c)(3) nonprofit umbrella organization. The FOJP celebrate the recent installation of world class fitness equipment along the hillside of the park. The purchase and installation of the equipment was made possible through a generous contribution from Bon Secours, and support from City Parks, Schools and the community. The FOJP is also proud of the new Peace Fountain that overlooks the City’s skyline. The J. Fulmer Bright Foundation purchased the fountain and it was installed by the City. The fountain is named in honor of longtime park neighbor and Richmond’s “Ambassador of Compassion” -Alicia Rasin. We are looking forward to the installation of new playground equipment and the placement of a historical marker in the near future. 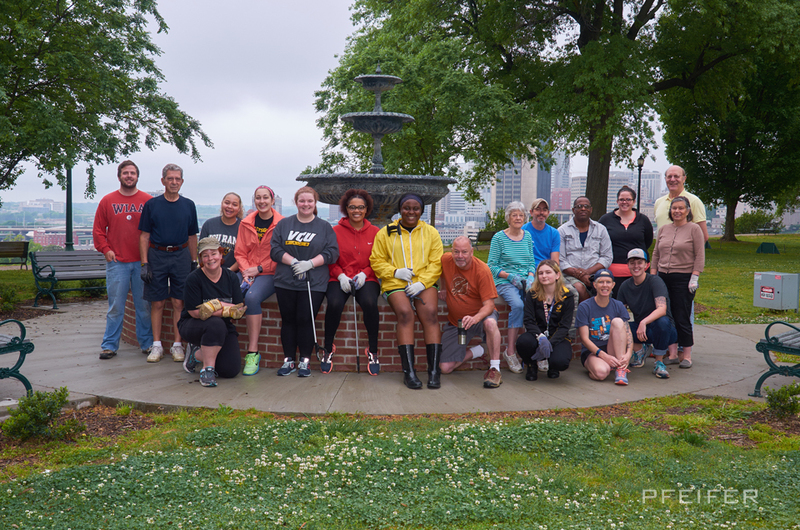 Members of FOJP are dedicated to keeping Jefferson Park an attractive resource for the Union Hill neighborhood and a safe destination for people from the surrounding area. Citizens with an interest in the park can contribute by making a donation, participating in a clean-up event and/or serving on the FOJP Board.